The Re-Up gang are back, promo'ing their new album (which is separate from the Clipse album that is scheduled for release later this year). The beats are strong, but it's the Re-Up, so what did you expect? This track is just gorgeous, if I can still say that whilst pulling my ugly face. Kris has not been around for too long (unless the last few years counts as long), and first came to my attention with his stellar remix of Stars on 33's I feel music in your heart. Yes they have, or they should have loads of dough after the hits these two have run through in the last couple years. Weezy and Teddy Penderass on a track which was hardly the strongest of a stellar Wayne album, but one which has grown on me. The Game drops the video for his 2nd single off L.A.X. with collaborator and former Blink 182 drummer Travis Barker. It's a hot song, of that there is no doubt. I had not heard of Hydroz before today, but he has definitely got my attention with this thumpingly sick remix of Easy Love. These Miami cats have dropped some pretty fresh remixes. 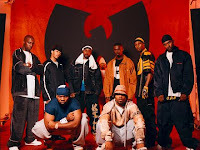 I've been digging on the Wu-Tang's last album 8 Diagrams for a minute now, and am impressed that the Clan can still muster the energy of their early records. Though not as boisterous as their debut, it's consistently grimy and the lyrics are definitely lively and on point. BTW, I heard this track today and instantly liked it. Krumping: Too Legit to Quit? The debate rages over the legitimacy of Krumping. Crumper-Haters denounce the merits of style, saying it's not a style at all, it's jsut aggressive chest beating. Krumpers say that these haters a just misguided fans and probably dislike Krumping because the people they've seen doing it aren't doing it the correct way. I'll let the people decide this one. So the loser this week was wonderboy Will Wingfield. There is much debate about whether it was justified or not, but, this being a popularity contest (you thought it was all about dance? ), Will walks. Here's a montage of this great dancer. And here's Katee and Twitch doing the contempary thing. Choreographed by Mia Michaels, they both look right at home with this one. 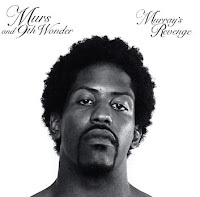 Murs has teamed up with former Little Brother producer 9th Wonder to make a new album called Sweet Lord. Why am I so excited (beside the fact they are both amazing artists)? Because its available on their website for FREE. I'm almost getting sick of all the Santogold posts, almost... but she is popular and also so damn talented. Amanda Blanks guests on this album tracks, and drop the lyrics to LL Cool J's I need love for good measure. Sheez, if Cool J was p.o'd at Girl Talk for flogging his songs, how mad he gonna be now! After watching Hova rock out at Glastonbury a couple of weeks ago, one question lingered in my mind grapes... Why hadn't anyone thought of mashing Jay with AC/DC earlier? Well, turns out someone had thought of it, and one visit to the myspace page of JZ/DC should be enough to prove that fact. What surprised me is how well Dirt off your shoulders does go with Back in Black. Alison Goldfrapp is remixed here by the Animal Collective, and it's every bit as eclectic as it sound. It's also entrancing and embracing. Nasty Nas is a rebel to america. So went the lyrics all those years ago, and now it's the Sly Fox lyrics that has seen that rebellion re-imagined. Here's a live version of the track that describes what it's like to be black in america, and be controlled by the all-consuming fox network. This just in from Pitchforkmedia, Dr. Dre has announced he looking towards a November/December drop date. It was also noted that he said this would be his ideal release date "in a perfect world," so we better not get ahead of ourselves. I've been hurt before. He confirmed Nas, Jay-Z and Lil Wayne will be on the Album. Jeezy and Kanye flossing over clips of delapidated houses and clapped out vehicles. I think that's called juxtaposing. Baba O'Reilly was a song custom build for sold-out stadiums, and Sebastian's remix tips it's cap without losing the arena-sized appeal of the original. Santogold has dropped some more goodness from her upcoming mixtape, and this one features the one and 0nly M.I.A. I hate to mention Joe Strummer twice in one day, but I wanted to post about Grandmaster Flash, and tell the following story. When Flash opened for the Clash in the early 80's he was roundly booed by the predominantly punk (and therefore white) crowd. When Strummer and the Clash finally hit the stage, he remonstrated and scolded the crowd for booing such an important artist. I can't imagine a group today bringing someone from a totally different genre to open for them, let alone dissing their own fans for slagging them off, it just wouldn't happen these days. Santogold and Diplo are releasing an album together, well it's a mixtape actually, but that's still exciting news. Just to confirm it (it seems), this track has popped up, taking it's name and beat from Joe Strummer and the Clash. I originally thought that transferring the location from Brixton to Brooklyn didn't uphold the ideals that the songs promotes. However, after seeing the Joe Strummer doco The Future is Unwritten, I'm starting to think that Joe's out there somewhere bobbing his head right along with the rest of us. Not Hip Hop or Dance, but cute nonetheless. Feist appeared on Sesame Street with a slighty educationalised version of 1,2,3,4. I think even Oscar the grouch may have harmonized a few bars. I love Fred Falke, in a strictly 'brothers from another mother' way, don't get it twisted. He gives the people what they want, and what they want are pulsing basslines, the lifeblood of all good dance music. He is a frequent collaborator with another genius, Alan Braxe. 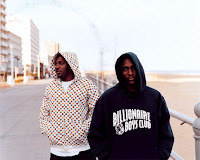 Pusha T and Malice put out a cheapish looking vid for their excellent latest single from their forthcoming album. Who is Lil C? A good primer would be the critically acclaimed doco that introduced Krumping to the rest of the world 'Rize'. Lil C is a phenomenal dancer who's risen through the ranks and garnered much respect in the dancing community. He was also seen in Madonna's "Hung Up" & "Sorry" videos. Lil C called it buck, and I would have to agree, if I knew what buck really was. It was some great Dave Scott choreography, and they both nailed it. Great costumes too. Comfort was back in for Jessica King, but found herself dancing for her life after a lacklustre partnered waltz. Luckily she brought her A game for the solo and was saved for another week. Okay, the album is out, so I will be toning down the Jones love for a while. The has gotten some strong reviews, though it's critics have pointed to the lacklustre beat selection as it's downside (although I read one that said 'whiny lyrics). Anyhoo, Nasir is going out on tour with 'The Jones Experience' featuring Talib Kweli and Jay Electronica. Queen Latifah aka Dana Owens Injured in Motorcycle accident? The National Enquirer (only the most reliable sources here!) reports that Rapper turned Hollywood A-list actress Queen Latifah aka Dana Owens has been seriously injured in a motorcycle accident. Her brother actually died in a motorcycle accident and she wears a motorcycle key around her neck in his memory. The geniuses down at Delicious Vinyl decided to get their back catalogue remixed. Uh yeah, who the hell is delicious vinyl. Well, they were home to such 90's staples as Tone Loc and Young MC, who had big hits with Wild Thing and Bust a Move respectively.. 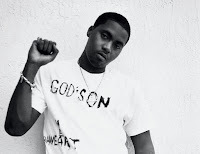 Yes, I am aware that every second post this week has been a Nas post, but dude has his album coming out, so cut me a little slack. After the Hero video came out (see earlier posts), I thought that would be it. However, a new vid has popped up for the incendiary track Sly Fox, which is my favourite song on the album so far (Untitled drops 15/7, go buy it). Nas drops verbal grenades on Fox News and Bill O'Reilly, with the same intensity that he used to burn Jay-Z back in the Ether days. You think O'Reilly will respond with his own diss record? Choreographed by former contestants Pasha and Anya! It's a cha cha, very well executed, I must say. Joshua and Katee perform a Viennese Waltz choreographed by Jean-Marc Genereux. I'm by no means an expert on this style, but this is beautiful. Nasty Nasdaq, Dow Jones or whatever you want to call him, has released an official video for the single Hero. I urge you to pick up Untitled on 15/7. Killer Mike has a new album about to drop called I pledge allegiance to the Grind. The ballistic MC showcased this track on his Myspace as a taste of things to come. I wasn't a massive fan of the original, because although it was a shimmering summer song, with Estelle flowing seamlessly over the top, it was a little too slight. Enter Kill the Noise, who've chosen to put a little more bump in the trunk, with great results. I know what you're saying. Mid year 'best of' lists go against the social coda, it's uncool and there's really no need for it. Why can't he hang out till the end of the year and purge then? I agree they are all valid points. The problem I have, is that by the end of the year I've forgotten what I was listening to at the start of the year, and then you topload you best of list with albums that were released in the second half of the year. I ain't letting that happen again. So, I'm doing this for me. 1. The Hold-Steady: Stay Positive - As descriptive and chaotic as their earlier releases, with a sound that encompasses more of the musical spectrum, America's best bar band comes up with another triumph that delivers lyrically and musically, and show's a group that knows exactly where they are. 2. Cut Copy: In Ghost Colours - This thing just sounds glorious. A throwback to new wave bands of the 80's, it's layers of production and instrumentation give the sound an atmosphere that is rarely heard. Even the squall, which is being compared to My Bloody Valentine, is harmonious and inviting. And while the lyrics won't win any pulitzer's, they capture the intention of the music, adding to the final ghostly product. 3. Lil Wayne: Carter 3 - With Nas and The Game yet to release their album's, and Snoop snoozing through his, this year has been left for Lil Wayne to reap the benefit, and breathe life back into wack MC's. The album is not surprisingly sprawling (Wayne isn't the most focussed dude), but this fact adds to the entertainment. From rapping about being a martian, a doctor, flirting with cops and telling us what it's like to be a millie-an-air, Wayne win and they lose. 4. Girl Talk: Feed the Animals - The Mash-up king takes even more from pop culture, from the cringe-worthy to the creative and slaps them together in the edit-fest to end all. Sometimes it doesn't hit, but given the fact that the tracks change up every 30 seconds, you'll have forgetton the missteps very soon. If you've ever imagined what Jay-Z and Radiohead would sound like together, now's you chance. 5. Bon Iver: For Emma, Forever Ago - Soft and slight, it lifts and pulls, it's trevails put across to you in such a beautiful way that you forget to be sad. About as much as you can get out of a softly strummed acoustic guitar. 6. Hercules and Love Affair: Self-titled - Another DFA produced dance classic (they produced Cut Copy too), and another throwback to an earlier time. Taking disco throbs and chucking Antony's high-pitched wail atop them was a stroke of genius. 7. Nick Cave and the bad seeds: Dig, Lazurus Dig! - Another spectacular outing from the man who may soon have a statue of himself riding a horse, in his hometown of Warracknabeal in Australia. 8. 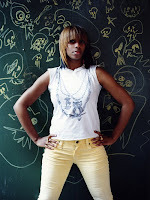 Santogold: Santogold - Sandi White has graduated from ghostwriting to star with flying colours. A great mix of dance, pop and rock. 9. Vampire Weekend: Self-titled - Don't think I forgot about these guys, I'm one of the few that does give a f**k about an Oxford Camera. They bopped their way from their East Coast colleges and into our hearts. 10. Bun B: 2 Trill - Did I say that Lil Wayne had the only good hip hop album this year. I lied. If you like what you hear, chase up these cd's and do yourself a favour. Kanye has asked us all to post this download link to Malik Yusef's new track. Malik is an artist on the G.O.O.D. 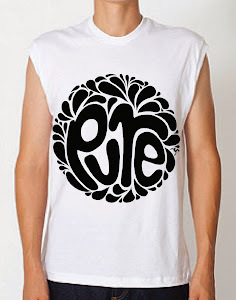 Music label. Am I gonna argue with Mr West? From time to time I like to deviate from my usual agenda and highlight snippets of pop culture that deserve your attention. Why I've then decided to post a link to a Huey Lewis song is something I will have to think about for some time and possibly regret over the course of the day. 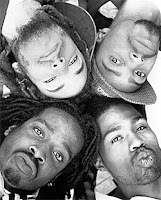 Not that I didn't love The Power of Love back in the day, but that was over 20 years ago. The song is however, the theme song to the new David Gordon Green-Seth Rogen-Judd Apatow-james Franco comedy Pineapple Express, so save your commentary 'til after you've seen the movie, or at least the trailer. For the purist's, M.I.A's Paper Planes, one of the top tracks of 2007, has featured heavily in the trailer. A couple of the more impressive performances from an overall average week. As you probably know, Matt and Kourtni were voted out *sigh* , and I was hoping that they would hang around for a couple more weeks at least. Oh well. Mark and Chelsie doin Jazz and Foxtrot. About the only time I'll tolerate a Mandy Moore song. Will and Jessica do the lyrical jazz thing. The shirtless thing is pimp. I was kinda hoping that it would make it a few more days before leaking. Hopefully the word gets out and Nas makes a mint from this one. I'm not going to point out where to find it though, but look, it ain't that hard to tell where it is... lol! Here's the clip for Weezy latest single off the outstanding Carter 3 album 'A Millie'. She was one of the leading Ballerina's of the 20th century. 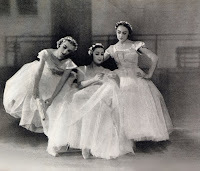 Baronova was the only survivor of a trio that achieved worldwide fame in the 1930s as "the baby ballerinas". It was that she displayed such artistry at such a young age that made her one of the most publicised ballerina's of her time. 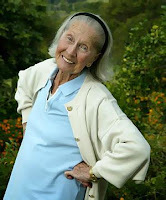 She died peacefully at her home in Byron Bay, Australia aged 89. She is on the far right of this pic. Nas's new release Untitled is due to drop on July 15th. I'm trying not to get caught up in the hyperbole like I usually do with Nas album's, because they never live up to the hype (though they still deliver). Prejudice's aside, this is another great track, a simple piano loop for Nas to jewel's over, courtesy of Jay Electronica. 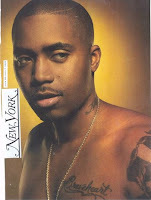 Also, I've included a New York Magazine article about the man called Nasir Jones. Shout out to Baron Davis. Hot Chip pulled grime rhymer Wiley onstage at Glastonbury on the weekend to perform the hit 'Wearing my rolex'.